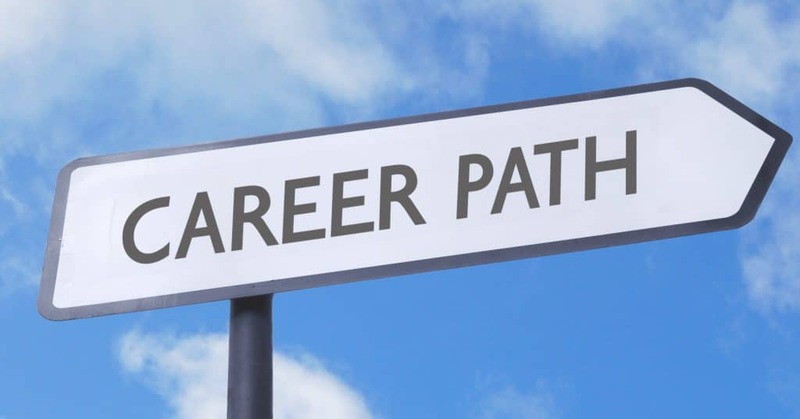 Many of my clients have come to me with one, not-so-simple question, “What is my career path?” Before I can help them find and follow that path, we first define career path. On The Balance Careers, Alison Doyle defines career path as the sequence of jobs that make up your career plan. A career plan is the short- and long-term goals that guide you to your ideal career. Let’s imagine that we’re happy little frogs who live in a pond covered by lily pads. Our goal could be to get to the other side of the pond. But to achieve our goal, we’ll need to hop from lily pad to lily pad. According to the Project Management Institute, project management is the application of knowledge, skills, tools, and techniques to project activities in order to meet project requirements. Project managers need to understand the content of their projects. To manage the construction of a mini-mall, most project managers would have had a previous job as a design engineer. To manage the development of software, most project managers would have had a previous job as a programmer. Design engineer and programmer are the lily pads these project managers step on to get to their project management jobs. Business analysts help businesses improve processes, products, services and software. CIO.com explains how these workers straddle the line between IT and the business to help bridge the gap and improve efficiency. Basically, a BA (business analyst) explains the business to IT and IT to the business. But the business analyst career path starts outside of IT. For example, the BA that supports human resources has probably already held a job in HR. The BA for health and safety has probably already held a job in health and safety. If neither of these BAs has a background in those departments, they likely held other business job outside of IT before they got their BA job. In an upcoming post, I will review each career path quiz, and a few more. If you have a favorite, or one you’d like me to check-out, message me on Twitter or LinkedIn. It’s normal to be worried or anxious about changing career paths. It’s a big step. But, being bored at work or hating your job are often the top reasons to change your career path. Before boredom drives you over the edge, you might want to read this article in Psychology Today written by Douglas LaBier, the founder of the Center for Progressive Development. In it, LaBier shows how much we can do to make a boring job better. Without a good understanding of why we’re bored, we can make some serious career mistakes. Before you make one of those career-limiting moves, check-out this article in The Muse by Richard Moy. In it, Moy shows us some of the biggest mistakes we can make when we’re bored at work. If you’ve tried to turn a boring job into an at-least tolerable one, let alone an exciting one, and you’re still living in Boredom Town, it’s time to change your career path. Strong emotions about work are normal because work is a huge part of our lives. We all hate our jobs sometimes but hating our jobs for too long begins to ruin the rest of our lives. Research shows that dissatisfaction with our working lives is associated with a range of physical and mental health issues. But, really hating your job is great motivation to begin building a new career path. Okay, so you’re bored enough or hate your job enough to change your career path. Now, let’s build the best career path for you. Your best career path is the one that gets you to your ideal job. For each of us, our ideal job is the work we were always meant to do. It’s the career path we would have created if we were truly free to make our own career choices. Here’s what I mean. I speak and write a lot about our world of work and what it means to reclaim it. When we reclaim our world of work, we finally see how we have been unconsciously accepting a working life that does not serve us. We see how we been trying to meet expectations that are not our own. When we reclaim our world of work, we reclaim our freedom to engage with the world of work in a way that is uniquely right for each of us. We are able to do the work we want, in the way we want to do it. When we reclaim our world of work we are able to begin building the career path that is uniquely right for each of us. Work life balance is the goal, but that balance has to be the balance that is right for you. Just like we may have been trying to meet someone else’s expectations when choosing a career path, we often try to meet someone else’s expectations of work life balance. Finding the work that you were always meant to do is even more rewarding when you’re able to do it how and when you want, not how and when they want. In upcoming posts, I’ll step through exactly how we can reclaim our world of work. Until then, you can check-out the Work Feels Good movement to learn what you can start doing right now!